This holiday season you can help Abbot raise money while you shop! Every time you use Amazon or Amazon Prime, use Amazon Smile instead. The shopping experience is exactly the same as when you go to the regular Amazon homepage, except here you will be prompted to select a preferred charity. 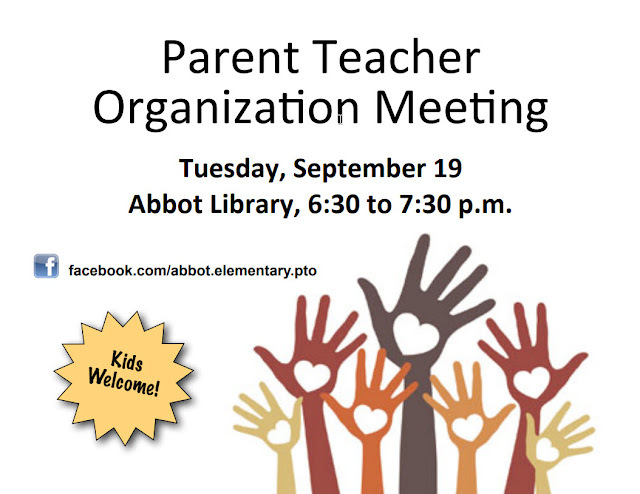 If you look up and choose "Abbot Elementary School Pto," a portion of every purchase that you started on Amazon Smile will go to the Abbot PTO. The money we raise is vital for keeping field trips free for every family and funding enrichment programs, such as Super Science Day, visits from Leslie Science Center, Jim Basketball Jones, and UM Shock. When Noel Winkler, grandma of an Abbot Elementary student, realized her 71st birthday would fall on the same day as the 49th Annual Abbot Elementary Run-a-Thon, she decided to join the fundraiser. Noel is walking 50 laps today and will be raising $100 for the Abbot PTO. Quite by accident, her race number turned out to be 71, making the story even more incredible. In addition to being an Abbot grandma, Noel is a retired Ann Arbor Public Schools teacher. She taught at Mack and Forsythe. If you see Noel walking today, please make sure to thank her and say happy birthday! The 49th Annual Abbot Run-A-Thon is Saturday, September 23rd from 9 a.m. to 4 p.m., rain or shine. Contact Committee Chair Lindsay Pawlowski with any questions at lpawlows@gmail.com. If you own a business and want to support the event with a business donation, please contact Lindsay as well to learn more about how we promote our business sponsors at the event, online and through social media. Volunteer: We have lots of jobs and times to suit almost any interest or schedule. Count laps, check in runners, work the concession stand, or hand out water. Many jobs and shifts are available between 8:00 a.m. and 5 p.m. Please see the sign-up at this website. Thanks to our 2017 Run-A-Thon All-Star sponsors! Get Involved with the PTO! The Tuesday, Jan. 24, PTO meeting is cancelled. Please join us on March 14 at 6:30 p.m. for our next meeting.